TORONTO, November 14, 2018 – The Canada Revenue Agency is giving itself a pat on the back for its record on countering offshore tax evasion and aggressive tax avoidance. It credits international partnerships and federal government funding for its record. The message has gotten through to laggard taxpayers. Almost twice the number of Canadians rushed to beat last spring’s deadline for the voluntarily disclosure of undeclared income taxes before the rules got tougher. However, tax lawyers and accountants whose clients used the Voluntary Disclosures Program (VDP) have been critical of changes to the program, saying the VDP was an effective money-maker for the government. According to Minister of National Revenue Diane Lebouthillier, "International cooperation is key to fighting tax evasion and aggressive tax avoidance. By participating in the Common Reporting Standard initiative, we have access to information that will help us identify cases where Canadians may hide money abroad to avoid paying taxes, improving Canada’s ability to protect its tax base." The Common Reporting Standard (CRS) was approved by the Organisation for Economic Co-operation and Development (OECD) in July 2014. The CRS was implemented in Canada in 2017 and includes the participation of more than 100 jurisdictions. In June 2018, Canada completed its first exchanges under the Country-by-Country (CbC) Reporting initiative. 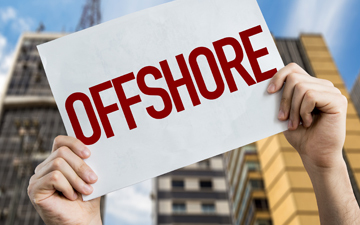 This compliance tool provides Canada with more information to risk assess multinationals who may be inappropriately shifting profits offshore. It provides the CRA with information on Canadians’ overseas financial accounts. Under the CRS, Canadian financial institutions are required to identify non-residents’ financial accounts and to provide account details annually to the CRA. The CRA then shares this information with foreign jurisdictions and in turn, the CRA receives the same type of information from other jurisdictions. Under this initiative the CRA expects to receive information from more than 80 international partners and has committed to sending information to more than 60. The number of exchange partners is expected to increase in the coming years. Information received will help the CRA identify financial accounts held in other jurisdictions to ensure that tax residents of Canada are meeting their Canadian tax obligations. According to the CRA, participating in the CRS honours Canada’s commitment to its OECD and Global Forum on Transparency and Exchange of Information for Tax Purposes partners to share more data in the fight against offshore tax evasion and aggressive tax avoidance. Critics claim, however, that despite the investment by the Liberal government, the annual budget at the CRA is still $500 million below that of 2012, when the budget was cut by the previous Conservative government. The CRA released statistics earlier this year on the “tax gap” of undeclared assets held by wealthy Canadians in offshore tax havens. It is expected to report on the tax gap of corporate tax avoidance next year and may be lauding its record now in preparing to release its report. As predicted by Canadian Accountant, the CRA won a major ruling in the Tax Court of Canada in the case of Loblaw Financial Holdings, in relation to the grocer’s former banking subsidiary in the tax haven of Barbados. The company says it will appeal the ruling but took a $367-million one-time charge in Q3 2018.